Who do you picture when you think about a designer or an artist? Maybe Andy Warhol, renowned for his pop art? And now picture a scientist – perhaps you see a gray-haired Albert Einstein in a white lab coat, standing next to a board covered with complicated formulas as he investigates the laws of nature? Goodgame Studios has artists and scientists as well, even if they don’t necessarily look like Warhol or Einstein. 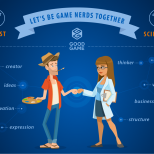 The two worlds collide in all areas of Goodgame Studios, such as when data analysts encounter marketing artists, game researchers talk to game designers, and user experience researchers work with user interface designers. The fusion of art and science is clearly visible in game creation when computer specialists bring to life carefully designed graphics. 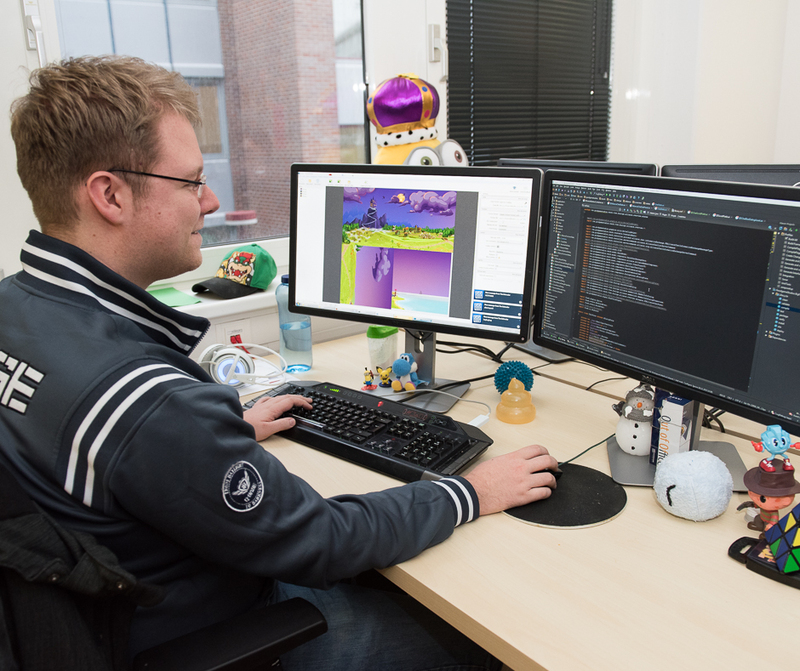 That’s why here at Goodgame Studios, we bring together the most talented designers and technicians to produce fantastic new games and exciting updates. 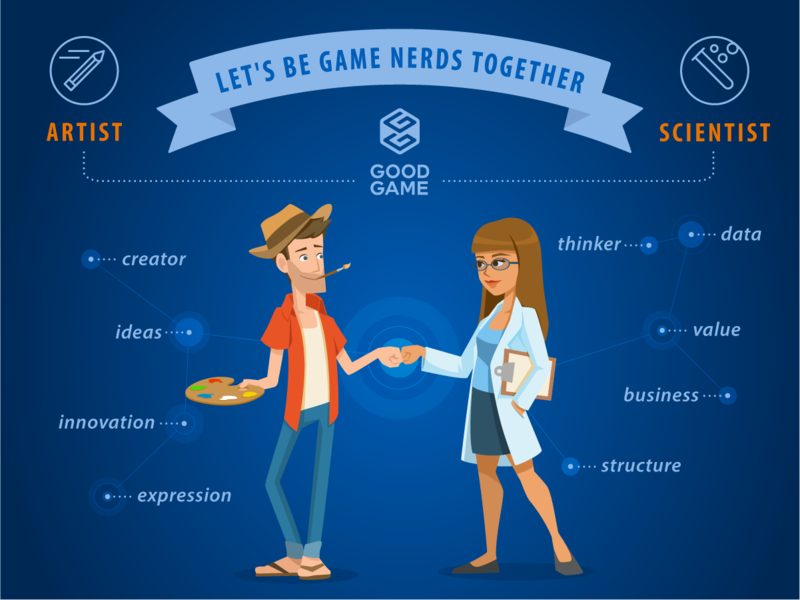 The Goodgame Big Farm team is a perfect example of close collaboration: game designers think up new features and content for the games, game balancers fine tune the game mechanics with mathematical formulas, artists design the graphics, and programmers put all these elements together. Project managers ensure that everything runs without a hitch. Concept, vector, and 3D artists here create works of art, from the first sketches on a sheet of paper to the completed digital pixel masterpiece. 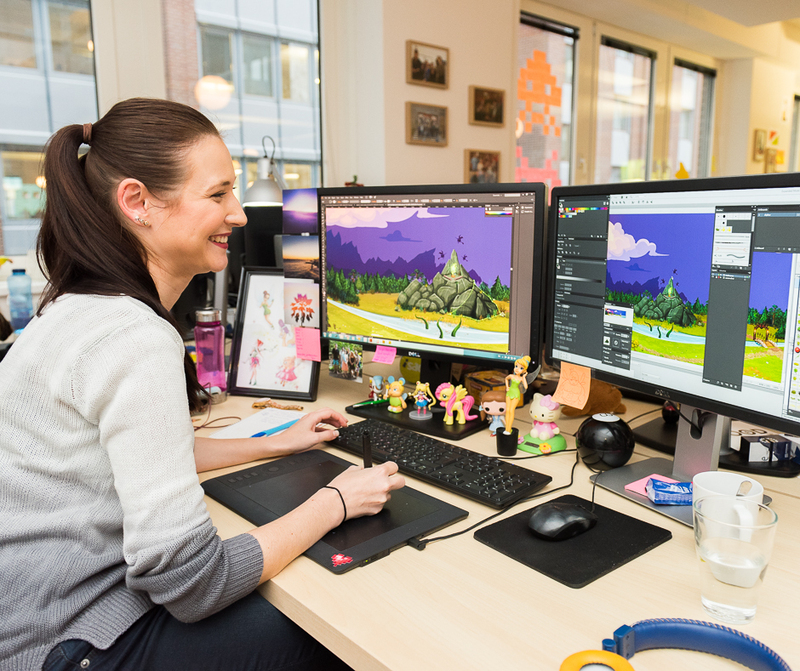 Vector artist Dorothee has been using her creative talent to produce colorful buildings, decorations, and landscapes for Goodgame Big Farm for almost two years. 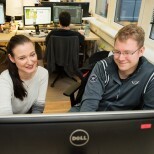 Most recently she worked on some especially detailed graphics to beautify the rural landscape views in Goodgame Big Farm. For Halloween, she designed two spooktacular new landscapes, for example. If you take some time to really look at these landscapes, you’ll discover tons of subtle details, such as little owls perched on gnarled branches. Dorothee uses image processing and vector programs like Photoshop and Illustrator to create her works of art. Behind the agricultural backdrop of Goodgame Big Farm an array of parameters, variables, and algorithms ensure that millions of players from around the globe can all play at the same time. Number jugglers and computer specialists such as server developers, software engineers, and client developers apply analytical precision and technical finesse to make this possible. Torsten, who works as a client developer in the Goodgame Big Farm team, assembles the work of artists like Dorothee within the program and uses programming code to provide functions and interactivity. To do this, Torsten uses the programming language ActionScript and the Flash platform. Torsten and Dorothee have to communicate continually in order to ensure the successful fusion of art and science. The graphics and icons have to be prepared in such a way that they can be optimally integrated into the game. Many different graphics and icons are needed to make a building interactive, for example. 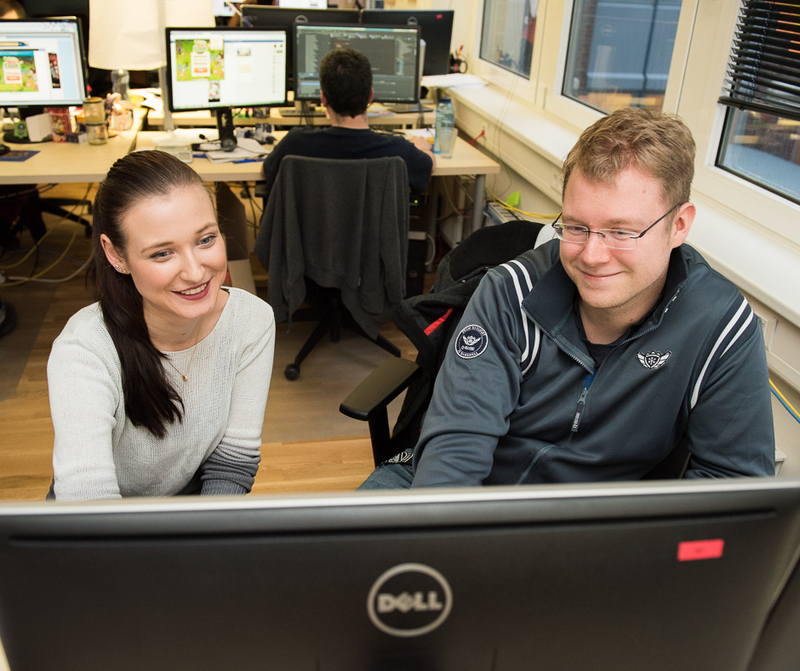 Dorothee also has to prepare the landscapes in various data formats so that Torsten can properly integrate them into the different farm views and menu elements. The completed image files are recorded in complex folder structures. The game client – the program used to play the game in the browser – calls up these files from the folders and puts them together to create the interactive farm world. Through the interaction between these technical and artistic disciplines, the bright and colorful worlds of Big Farm are brought to life. This formula for fusing art and science creates games that are both technical and artistic masterpieces. It’s clear that digital games have now become a permanent fixture in our society – associations like the BIU (The German Trade Association of Interactive Entertainment Software) or the Stiftung Digitale Spielekultur (The Foundation for Digital Game Culture) are working hard to include games among our era’s cultural artifacts. If you would like to become a part of our team so that you too can fuse art and science, check out our career page.